If you perform a Google search for Dan Danford or the Family Investment Center, you’re likely to find first-page articles from sources like the Wall Street Journal, the New York Times and “ABC News.” What’s the secret? For one, the organization applies solid experience, honesty and a partnership philosophy in an industry that can sometimes be predominately guided by commission-based sales. (Plus, quirky things like mailing out $2 bills on client birthdays). 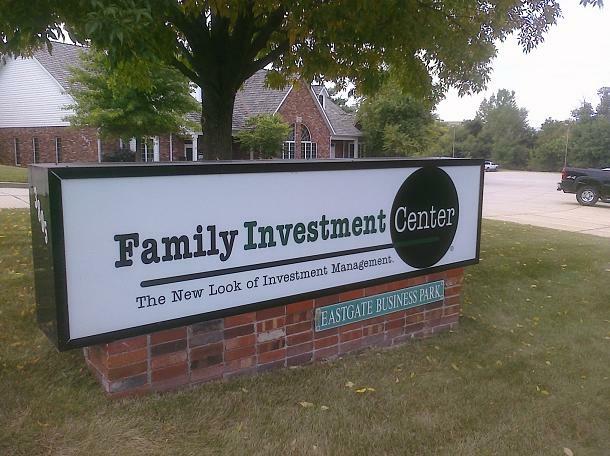 The Family Investment Center is putting the “family” atmosphere back in financial planning, and doing it without commission-based incentives – making the company a nationally-known name for expert advice and honest service, with article mentions from sources like the Chicago Tribune to Yahoo! Finance. The company also stands out for using terms like the emotions and feelings related to money to advise national sources, while looking at finances from a whole-family perspective. Dan Danford, principal/chief executive officer, directs and leads the Family Investment Center of St. Joseph, a commission-free investment management firm serving individuals, families and non-profit organizations from a partnership viewpoint. This means the Family Investment Center has to get to know a family or organization’s goals and then looks for the best matches between investment costs and outcomes. The results are all about Family Investment Center offering their top-level knowledge and creating an atmosphere of trust, minus the high pressure and emphasizing the direction a family or an individual truly wants to go. Founded in 1998, Danford’s insights into the emotions and behaviors related to money were featured in the Wall Street Journal in 2011. A 2009 Wall Street Journal article outlined Danford’s unique birthday messages to clients, complete with a $2 bill. In 2009, Danford was quoted on “ABC News” for his insight into how parents can save and protect funds for their children’s college education. The organization also recognizes that lives may be in flux when someone reaches out for advice, and promises to return calls within 24 hours. Danford’s wisdom and experience spans more than 25 years across the financial planning and wealth management industry, and he has been featured as an instructor at Missouri Western State University, numerous national conferences and workshops and several boards and committees. Family Investment Center also offers custom investing information for women, or to meet the unique needs of families in transition – with team members consistently being called upon for numerous magazines, articles and media sources. SJC is proud to recognize the work of the Family Investment Center to share high-value, quality information across multiple sources, and congratulates the organization for gaining a national following while doing what they do best: being themselves. This entry was posted in Monday Morning Coffee and tagged blog, coffee, coffee talk, commission free investment, customers, Dan Danford, Family Investment Center, investing, marketing, marketing strategy, Missouri Western State University, relationships, SJC, Susan J. Campbell Copywriting Solutions. Bookmark the permalink. Thanks for sharing this awesome story. Patrick – it was definitely a fun story to tell. Thanks for reading! Wow! I know all this…and I’m still impressed. It’s always fun to see it in print from a third party source, isn’t it?